What is Sufism and Why Do Islamist Extremists Reject it? There is some disagreement over the etymology of the mystical movement’s name. On one hand, some believe that it comes from “suf,” the Arabic word for wool, in reference to the rough and inexpensive material that early Sufis wore as a part of their ascetic practice. “Wool is not a very comfortable garment,” so donning woolen clothes represented “a type of declaration of their position in the world,” according to American Islamic scholar Hamza Yusuf. On the other hand, some believe that the name comes from “saf,” the Arabic word for “rank,” suggesting that Sufis “are in the first rank in their presence of Allah.” Some have even suggested that the word “Sufism” comes from the Greek word for wisdom, sofia. Regardless of the word’s etymology, its goal is singular. Sufism seeks to give its adherents a way to attain the coveted level of Ihsan, or “perfection,” in their spiritual practice. Within the framework of Islam, Ihsan is seen as “the highest level of human potential,” according to Yusuf. In the West, many people erroneously view Sufism as a sect of Islam, but it is really considered more of “‘an interiorization and intensification of Islamic faith and practice’” and “a broader style of worship that transcends sects.” However, the mystical movement, which directs its tens of millions of adherents globally to look inwards, is still misunderstood by the outside world. Sufism was established after the death of the Prophet Muhammad (PBUH*) in 632 CE, but it did not develop into orders until the 12th century. These orders, also called turuq (the plural of tariqah), or “path,” are instructed by a murshid, or “spiritual guide,” who is responsible for leading followers on their spiritual journey of purification and introspection. Over the centuries, countless Sufi tariqahs have formed around spiritual founders, who subsequently gained saint status and had shrines built in their names. The best known tariqah in the West is the Mevlevi tariqah, founded by the followers of the 13th century Persian poet and mystic Jalal al-Din Rumi after his death in the Turkish city of Konya. Dhikr, or “devotional acts,” are a central practice in Sufism and vary from tariqah to tariqah. Followers of the Mevlevi tariqah perform a unique dhikr ritual, a sacred dance ceremony called the “sama,” meaning “listening.” It originated in Turkey and Rumi is credited with creating it. 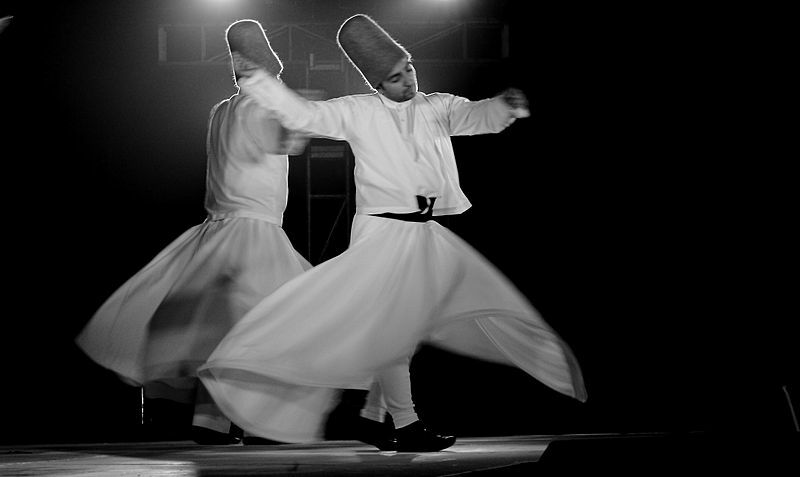 The practitioners of this act of devotion are known as the “Whirling Dervishes.” In 2005, UNESCO declared this Mevlevi dhikr ritual a Masterpiece of the Oral and Intangible Heritage of Humanity. During this meditative dance, individuals spin at a steady pace while reciting divine verses and invoking God’s name to achieve a trance-like state. During this meditative dance, individuals spin at a steady pace while reciting divine verses and invoking God’s name to achieve a trance-like state. “The Dervishes turn as one arm reaches to the sky ‘taking from God’ and the other ‘gives life to the earth,’” according to Celaleddin Loras, a Mevlevi Sheikh. “We receive from God and we return that light and gift to humanity,” he added. The whirling ritual can be performed individually or in a group, and it can be performed silently or out loud. Notwithstanding the fact that Sufism has its own turuq (paths) and dhikr rituals, it is not a sect. 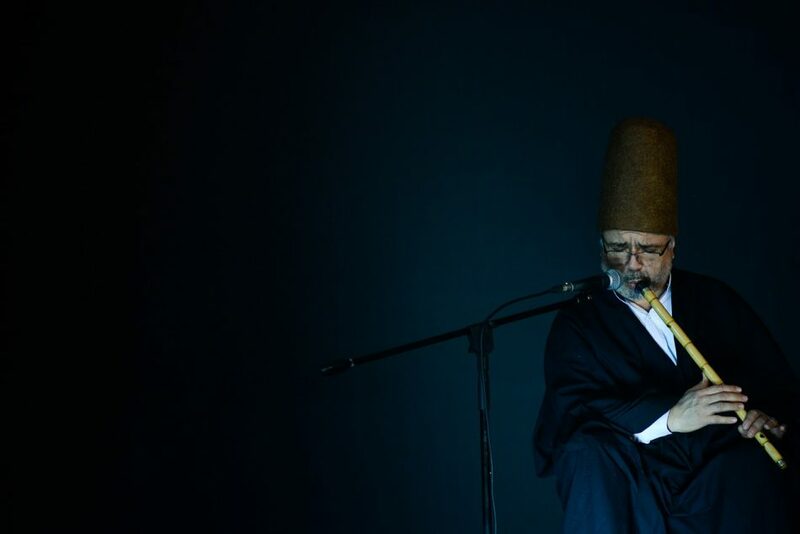 In 2017, Imam Feisal Abdul Rauf, an American-Egyptian Sufi cleric who has preached in New York City for many years, told the New York Times that confusion about Sufism is quite common among Muslims and non-Muslims alike. Like all followers of Islam, Sufis believe and perform the five pillars of Islam. These pillars include declaring that there is only one God and that the Prophet Muhammad (PBUH) is his messenger, praying five times a day, giving charity, fasting in the holy month of Ramadan, and performing the Hajj pilgrimage to Mecca—if one is physically and financially able to do so. Since its establishment, Sufism has spread throughout the Muslim world, with followers from Indonesia all the way to the Balkans. 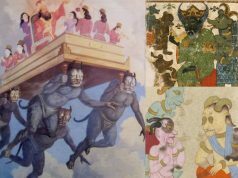 As the mystical movement spread, it often incorporated local beliefs and customs in the process, thus making it popular with the masses. However, these “local flavors” of Islam would later become problematic to Islamist extremist groups who believe these additions to be heretical. Mohammed bin Abdul Wahhab founded the Wahhabi movement in the Arabian Peninsula in the 18th century. The puritanical Islamic ideology and movement inspired the establishment of violent extremist groups such as al-Qaeda and the Islamic State in Iraq and Syria (ISIS). The austere Islamist “reform movement” seeks to create a “pure” Islam free of “innovations,” including the widespread Sufi practice of venerating saints. Although the reverence of saints is common in several Muslim countries, Islamicst fundamentalists see the practice as a form of idolatry, as it shows devotion to something other than God—the only entity that should be worshiped. “The opponents of Sufism see the shrines and these living saints as idols,” said Alexander D. Knysh, professor of Islamic studies at the University of Michigan and an expert in modern Sufism. “Their existence and their worship violate [sic] the main principle of Islam, which is the uniqueness of God and the uniqueness of the object of worship,” he added. Sufis’ perceived heresy has made them and their religious sites routine targets for Salafi jihadis. 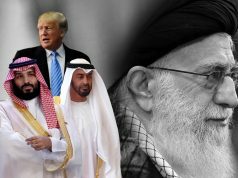 Even though al-Qaeda and ISIS both oppose Sufi practices, they “have clashed over whether to focus on the ‘far enemy,’ powerful Western countries like the U.S., or the ‘near enemy,’ repressive governments in the Muslim world.” Terrorist attacks on Sufis needlessly spill the blood of innocent people in the Muslim world, while also fueling Islamophobia and opposition in the West. The rise of Islamophobia has enabled global political movements and terrorist organizations, like al-Qaeda and ISIS, to weaponize people’s ignorance about Sufism, and Islam in general, to serve their own purposes. While misinformation plays a key role in promoting division and hatred, education is the antidote. As Rumi once said: “Life is a balance between holding on and letting go.” In order to ensure the safety and respect of Sufis, or any minority group for that matter, our global communities must hold on to the humanity and knowledge that protect our diversity, while letting go of the ignorance that threatens to destroy it. 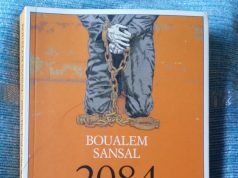 “2084”: The End of the World, or Classic Dystopia with a New Face?